Choosing a baby stroller can be as challenging as buying a car. There’s a huge price difference between the two purchases, but the stakes feel just as high to new parents who will be using the contraption on a daily basis. It’s not a decision to take lightly. You have to decide if you will transport your infant in his car seat while in a stroller. You also need to consider where you are likely to spend a lot of time with this equipment, such as shopping malls, walking paths, street festivals or other areas. The terrain you’ll be regularly walking on and the areas you’ll navigate play a role in the safest and most convenient stroller for you. Other considerations include whether you wish to use the same stroller for the next 3 to 4 years or if you prefer a stroller for infanthood and another for the toddler years. 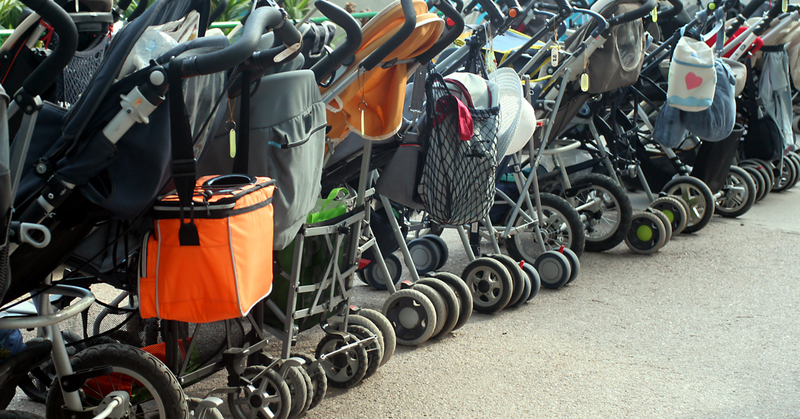 There are two distinct periods during which your baby’s stroller needs change. The first is from birth through around 6 months old. During this time, your baby is fragile and has little neck strength. He needs adequate support in order to stay safe while out and about. When holding your baby or wearing him in a baby carrier is not an option, you need a stroller meant for infants. After the first six months, however, your baby becomes more independent and benefits from sitting up and seeing the world around him. This is when you could benefit from a larger stroller with more room for your baby as well as more storage. As you consider the various options, you will see strollers ranging from basic to considerably advanced. Safety and advanced technology usually mean a higher cost. 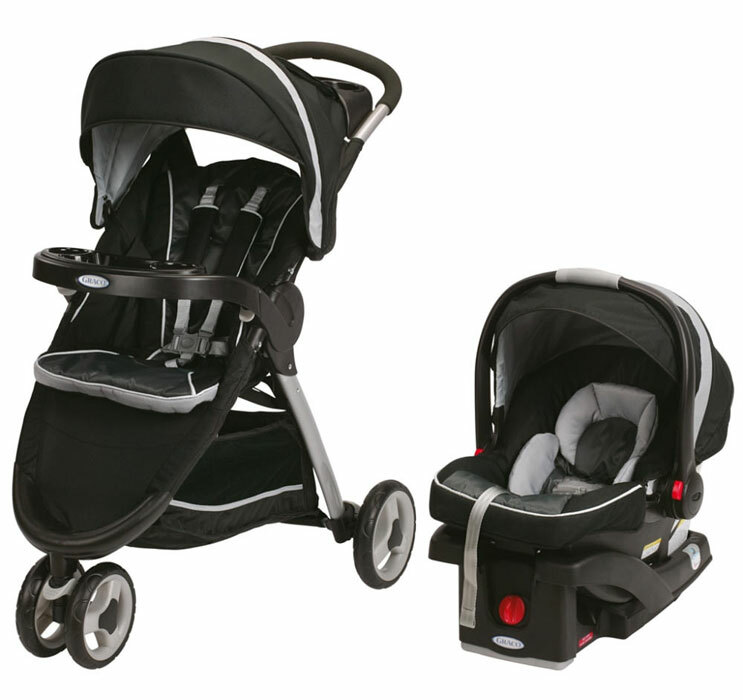 Strollers range drastically in price, depending on the features you need. Before you break the bank purchasing the most expensive stroller on the market, evaluate your baby’s needs and the necessary safety features you desire. We want you to understand not only how to save money on a stroller, but how to figure out which features are necessary. It might seem important to purchase a stroller with all of the bells and whistles because you want only the best for your baby, but in reality, you do not need many of the features. Here we look at what you need the most to help you make the right purchase. 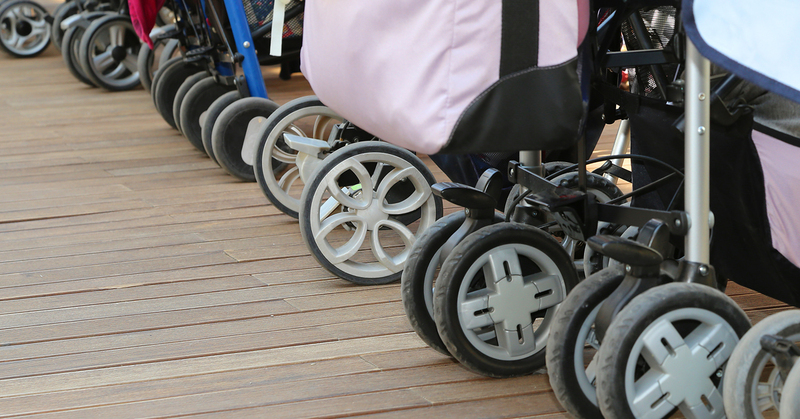 Purchasing a stroller requires you to consider many different features. We will discuss the different stroller categories, who they work best for, and which stroller we find to be the best purchase. Each type of stroller has pros and cons that vary based on your needs. For example, some parents rarely take their infant out of the car seat, or they prefer to “wear” their baby in a baby carrier while shopping or out on a walk. For these parents, investing in a travel system or stroller frame would not be advantageous. Parents who plan to take their baby on long walks in the stroller, or who know they will take their baby shopping often, will benefit from a travel system or stroller frame, as it is one of the safest options for newborns. 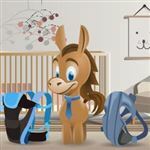 After the first six months, parents need to consider how they will go out and about with their baby/toddler. Is a full-size stroller, which can weigh up to 37 pounds, a plausible option for you? Can you lift 37 pounds on a regular basis? If not, a lightweight stroller with fewer features might be a better option. If you exercise regularly and see yourself going on long runs with your baby in tow, a jogger stroller might be the right investment for you. Taking a close look at your lifestyle will help you determine the right choice. Graco Fast Action Fold Sport Click Connect Travel System is the best travel system. During the first six months of your child’s life, transporting him or her typically occurs in the car seat. For safety and convenience purposes, you have two options: the travel system or stroller frame. Both options serve the same purpose – safely transporting your newborn baby. The similarities end there, though. The travel system is a combination of the stroller, matching car seat, and car seat base for your vehicle. With this package, you know the car seat will safely clip into the stroller, making it easy for you to transport your newborn. We found the Graco Fast Action Fold Sport Click Connect Travel System to be lightweight, easy to fold, and able to hold plenty of storage. As an added benefit, the included car seat is one of the safest car seats on the market. What impresses us the most about the Graco Fast Action Fold Sport Travel System is its weight. At only 22 pounds and with simple folding, the stroller lets new moms easily pack up without struggle. This is in stark difference to most other travel systems on the market, which weigh as much as 37 pounds. This may not only be heavy, but also too bulky for some vehicles to store. The low weight and easy closing mechanism, which requires just one hand, makes it simple for moms to get the stroller in the car even while holding a fussy baby. 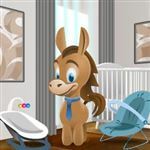 Another feature we love is the included Graco SnugRide Click Connect 35 Infant Car Seat, which holds infants between 4 and 35 pounds. This weight limit is on the higher side, as many car seats only hold up to 22 or 30 pounds. It gives you more life out of your car seat, enabling new parents to continue the convenient use of the total travel system. The stroller’s smoothness is another feature we love. Babies need a steady ride, allowing them comfort whether they are watching the scenery around them or trying to go to sleep. This stroller has a unique 3-wheel design, which allows for easy maneuvering whether out on the street or finding your way through crowded stores, as it does not take up a large amount of room. Finally, we love the amount of storage this travel system provides. Not only does it have storage underneath the stroller, but there is also a parent tray at the top, which can hold two drinks as well as other miscellaneous items, such as a phone or keys. One fault we found with the Graco SnugRide Click Connect 35 Car Seat, which comes in this travel system, is the lack of protection from the sun. There is a canopy, which covers the baby, but it is a bit on the flimsy side and constantly needs some readjusting. Another fault we found with the car seat within the system is its incompatibility with most grocery store carts. Many parents end up placing the baby in the larger area of the cart and using two carts, or only making small shopping trips with their baby in tow with this system. Amongst all of the types of strollers available on the market, the travel system is the most controversial. Most parents flock to this type of stroller because of its convenience — you get the car seat and the stroller, both of which you need at some point. However, most travel systems are of lower quality than units you purchase separately. In addition, many parents regret the decision as their child gets older, as the strollers often have fewer features than standalone models. If you are on a strict budget or will not use the stroller often as your child becomes a toddler, the travel system could be a great purchase for you, though. Nuna Tavo Stroller is the best full-size stroller. Most parents appreciate the convenience of the full-size stroller and maximize its use over the course of the first 3 or 4 years of a child’s life. There are various types of full-size strollers available, many of which accommodate specific car seats. Some parents purchase the full-size stroller right away, looking for one which accommodates the car seat too while others wait until their baby sits up on his or her own before making a decision. Our favorite full-size stroller, which accommodates both types of parents, is the Nuna Tavo Stroller. This unique stroller provides the option to secure a Nuna Pipa car seat without a special adapter, which is a huge benefit for parents. This stroller is ready for use right out of the box. Parents who wish to use the stroller without the car seat will love the many features of this streamlined stroller as well. A few of the key features are the ability to carry a child up to 50 pounds, the adjustable leg rest, and the accessible areas to open and “see” your child without bothering him. One feature we looked high and low for is a flat recline. This is an extremely valuable feature for parents, yet one that is hard to find. The Nuna Tavo Stroller reclines to a flat position, which means a comfortable rest for your baby/toddler. Most strollers are labeled as unsafe for infants to rest in without a car seat, as babies younger than six months need to lay at a recline of less than 10 degrees for safety purposes. The Nuna Tavo offers this ability without worry. Even if you don’t want your baby to lie flat, this stroller offers four reclining positions, ensuring your baby’s comfort during your strolls. Another feature we love is the large canopy, which can cover your baby while you walk. Whether your baby naps in the stroller or you want protection from the sun, we have not seen a canopy that offers greater coverage than this one. As an added benefit, it offers UV protection, with UPF 50+ protection shielding your baby from the dangers of the sun. A feature we love, and one that most couples comprised of one short and one tall partner appreciate, is the adjusting handles. Many strollers have one handle setting, making pushing the stroller a comfortable task only for people of certain heights. 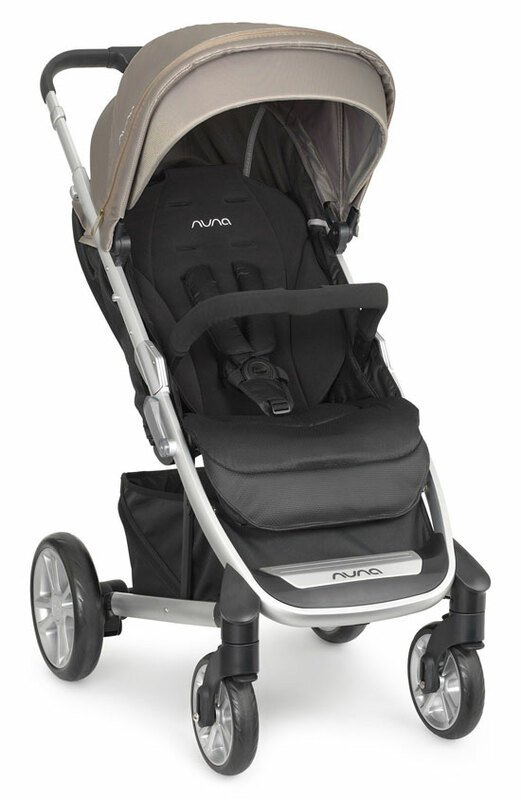 The Nuna Tavo makes it comfortable for anyone to push. One downside to the Nuna Tavo Stroller is the lack of a cup holder. Since many parents like to carry their coffee or water with them while strolling, this can be a downside. You can typically find an aftermarket cup holder to attach to the stroller if you really miss this feature, though. Another feature missing from this stroller is a snack tray/cup holder for your child. For infants, this might not be a big deal, but as your child gets older, it can become a problem. Nuna does offer the option to purchase a tray separately (to the tune of around $40), which adds to the expense of the stroller itself. Honestly, almost every parent will find a use for a full-size stroller. The Nuna Tavo Stroller provides adequate features without going overboard and comes with a pleasant price. With its easy maneuvering, almost-flat reclining seat, and protection from the sun and other weather elements, this full-size stroller provides everything you need without going overboard. If you plan to take your baby/toddler shopping, on long walks, or on vacation, this stroller provides you with everything you need without unnecessary bulkiness. To learn more, visit Nordstrom. Thule Urban Glide is the best jogger stroller. Parents who run with their child in tow have completely different stroller needs. In order to minimize the amount of shock the baby feels from the bumps in the road, a jogging stroller is the best choice. The main difference in the jogging strollers versus a full-size stroller is the type of tires: jogging strollers have wheels similar to those of a bicycle, while other strollers have plastic wheels. 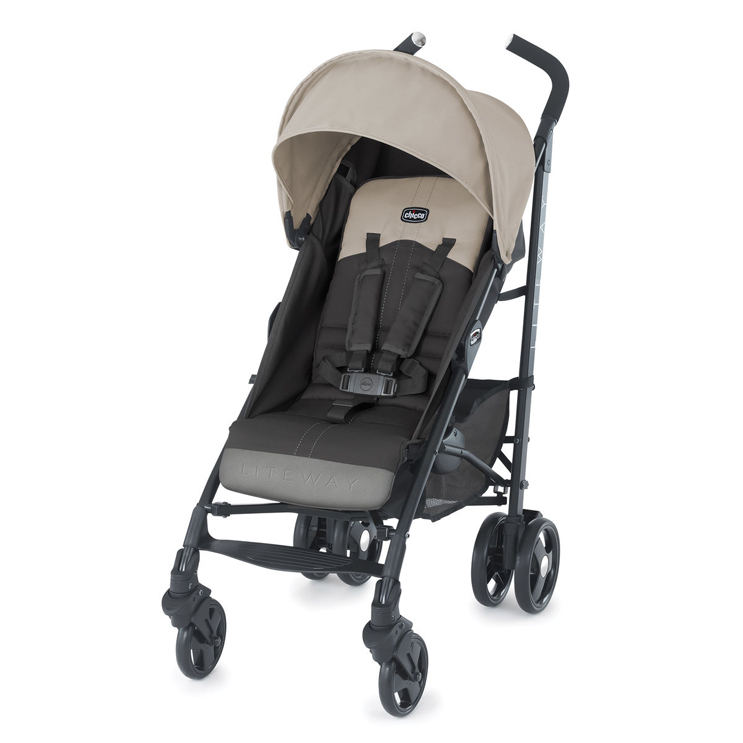 Some of the higher-end jogging strollers also have suspension to help minimize the bumps the baby feels. 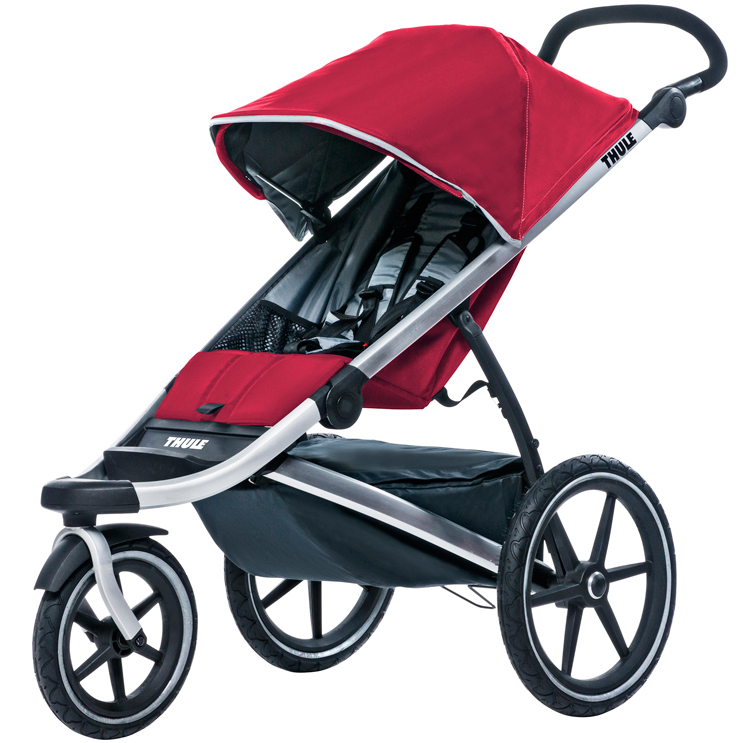 Our choice for a top jogging stroller is the Thule Urban Glide. This jogging stroller is perfect for parents who jog regularly as well as those who simply take long walks and want a comfortable ride for their baby. According to the American Academy of Pediatrics, you should wait until your child is at least 5 or 6 months old before considering this type of stroller, however. It is not a good choice for babies younger than this age because they are incapable of holding their head up on their own yet. One thing we love about the Thule Urban Glide Jogging Stroller is its versatility. While you might think a jogging stroller is strictly for runners, there are others uses as well. This stroller gives babies and toddlers a smooth ride whether you run or walk on rough terrain. If you choose to run, you can lock the front wheel in order to keep the stroller steady while you run. If you walk, the wheel can stay unlocked for easy maneuvering. Because this stroller is great for exercising parents, we also love the ease with which this stroller folds. All it takes is one hand to fold it into its compact state. This is a great feature for parents dealing with fussy kids or those who have their hands full. Because it folds so compactly, it also fits great in most vehicles, which is not something you can say about many other jogging strollers. One last thing we love about the Thule Urban Glide is how it glides, really living up to its name. The last thing joggers want is to have a heavy load to push as they try to exercise. With the Thule Urban Glide, you barely know there is anything in the stroller, and most runners can maneuver the stroller with just one hand. This is very beneficial for runners who want to drink water, change their music, or wipe the sweat off their face. It also requires very little adjustment to get the stroller to turn while you run at a fast pace. The Thule Urban Glide does not come with a snack tray, which is something most parents desire on a stroller. Whether it is to feed small snacks to your child to keep him occupied or to give him an area to play, the tray is essential. The good news is you can purchase a tray separately, but it does bring down the value of the stroller’s benefits. Another feature we feel this stroller lacks is padding around the area where the baby’s head lies. If a baby were to fall asleep while a parent jogs, there is very little padding to protect his head. This could lead to a child hitting his head on the stroller bars if the runner hit a bump or had to jerk the stroller to the side rather quickly. Parents who run or walk for exercise could benefit from a jogging stroller. 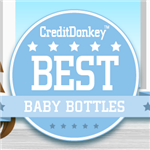 They provide a much smoother ride for your baby and are effortless to push. They are not strollers to navigate through shopping malls and grocery stores, however, as they do not easily maneuver in tight spaces. They are also typically much narrower than standard strollers, giving your baby less room to sit and relax. This is acceptable on a quick run or walk, but if you use this stroller as your everyday stroller, it could get uncomfortable quickly. Unless you are an avid jogger/walker, you could skip the jogging stroller when you start shopping for your new bundle of joy. Chico Liteway Stroller is the best lightweight stroller. The lightweight stroller, or umbrella stroller, is another controversial product. It is very different from your full-size stroller with numerous features, but it is a great stroller for quick errands. Many parents prefer a lightweight stroller while traveling, especially if they fly somewhere, as the umbrella stroller takes up minimal space in the trunk or on the airplane. This is not a stroller you purchase and use for your newborn, though; you must wait until his neck and head are stable enough as there is minimal cushioning in these types of strollers. You can find umbrella strollers as inexpensive as $20 at most department stores. However, the one we chose as the best option is slightly more expensive, but its features make it worth it. The Chico Liteway Stroller offers more features than the standard umbrella stroller, yet it only weighs 17 pounds. This is on the higher end of umbrella stroller weight, but it folds more compactly than most other strollers. We love it for quick strolls around the neighborhood as well as to store in the car, as it takes up very little room and provides an option for parents on the go. This stroller has five reclining positions, which is something you rarely find on an umbrella stroller. This is a feature we love, especially for those outings where your baby falls asleep. Rather than leaving him in the uncomfortable, head falling forward position, you can gently recline him and let him get his rest. It only takes one hand to recline the seat and it even has a hidden boot area, which you can raise up to wrap around your baby’s legs while he reclines (this adds to the safety features of the stroller). With the 5-point harness keeping your child in place, this is one of the safer umbrella strollers on the market. Something else we love about this stroller is its sturdy fabric, which makes it more robust than most others. Umbrella strollers usually have flimsy and uncomfortable fabric, and babies and toddlers are less likely to want to ride in it. This stroller, however, has thick, sturdy fabric, which is easy to wash but yet has plenty of padding underneath it to make it a comfortable ride for babies up to 40 pounds. The Chico Liteway Stroller is also a taller stroller, which is something many people have a hard time finding. No adult wants to walk hunched over for any length of time while pushing a stroller – it gets too uncomfortable. This stroller has higher handlebars than most other umbrella strollers and handgrips that turn in, providing a more comfortable grasp for even the tallest adults. The most frustrating thing about the Chico Liteway Stroller is the lack of storage space, but this should be expected with lightweight strollers. There is a basket, but it is rather shallow, which makes it hard to store a large diaper bag. If you place the diaper bag on the handlebars, it can easily tip the stroller over. However, since this stroller is considered lightweight, most parents do not carry a large number of items with them and if they do, they know they have to carry them. The weight of the stroller could have a negative impact on you as well, since many people consider lightweight strollers being those that you can easily carry. At 17 pounds, this lightweight stroller is a little more cumbersome, but with its attractive price and numerous features, the weight is often overlooked. Parents who need a secondary stroller for quick trips or those who travel a lot really benefit from a lightweight stroller. Only having a 30-40 pound stroller, which takes up the entire trunk space of your car, can be cumbersome. This stroller has so many features, though, that if you wish to stay within a specific budget, you actually could get away with this lightweight stroller as your main stroller. As long as you accept the minimal storage space and the lack of a child tray, this stroller is perfect for quick trips and definitely for traveling. As you go through your numerous choices for a baby stroller, seriously consider how you will use it. Think about the uses we discussed above and how you plan to go about with your baby. The most important consideration is the stroller you purchase for the first six months of your child’s life, as this is the most fragile time. However, if you want to stay within a specific budget, consider strollers you can use from day one through your child’s 4th birthday. Nordstrom: Free Shipping and Returns on any order. Share on Facebook "The Best Baby Strollers"